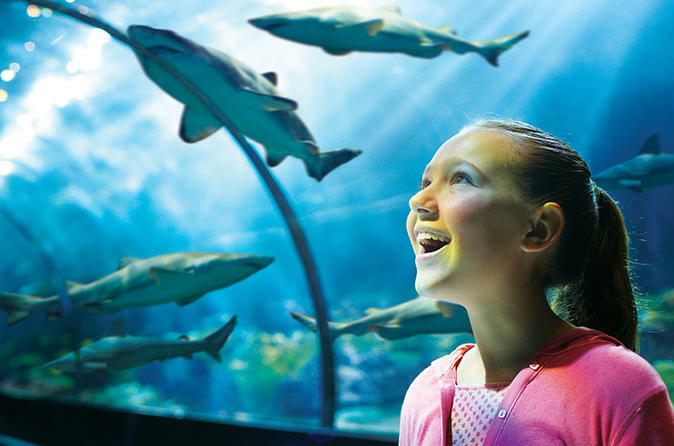 Venture into the amazing world of the ocean and its inhabitants as SeaWorld Orlando takes you on an unforgettable journey into the deep blue sea. With several up-close encounters with killer whales and turtles, you'll feel the enthusiasm, energy and excitement of all kinds of marine life. New in 2017 - take a ride on Kracken Unleashed - as the coaster soars to great heights, you plunge to new depths on a journey through underwater canyons into the abyss! Enjoy the new show POP, where master bubble artist Fan Yang creates a world of bubbles. This summer, be sure to stay after the sun sets for Electric Ocean - enjoy a firework and fountain show, DJ entertainment, the return of celebrated shows Sea Lion Tonite and Shamu’s Celebration: Light Up the Night and more! For additional fun, choose from combo ticket options with Busch Gardens Tampa, Adventure Island and Aquatica Orlando. One of the top zoos in North America, Busch Gardens Tampa brings you face-to-face with more exotic and endangered animals than any destination outside of Africa, with live shows that take you to the heart of the jungle through music and dance. Special Offer - Book and save 21% on a Single Day Ticket compared to the local supplier's prices OR save between 11% and 24% on all other options! - Book Now!